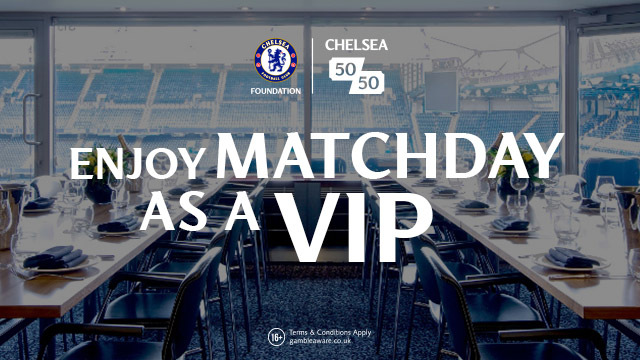 THE​ ​CHELSEA​ ​FOUNDATION​ ​LAUNCHES​ ​CHELSEA​ ​50/50​ ​-​ ​THE​ ​BIG​ ​MATCHDAY​ ​DRAW. 50/50,​ ​The​ ​BIG​ ​Matchday​ ​Draw​ ​on​ ​30th​ ​September​ ​for​ ​Chelsea​ ​vs​ ​Man​ ​City. games​ ​(except​ ​Champions​ ​League​ ​fixtures).​ ​ Entering​ ​the​ ​mix​ ​costs​ ​£2​ ​a​ ​ticket. part​ ​of​ ​the​ ​overall​ ​cash​ ​pot,​ ​that​ ​grows​ ​with​ ​every​ ​ticket​ ​bought. 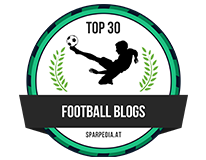 Every​ ​matchday​ ​50%​ ​of​ ​the​ ​cash​ ​prize​ ​pot​ ​is​ ​split​ ​amongst​ ​5​ ​winning​ ​fans,​ ​the​ ​other​ ​50%​ ​goes towards​ ​good​ ​causes​ ​supported​ ​by​ ​The​ ​Chelsea​ ​Foundation​ ​(and​ ​the​ ​costs​ ​of​ ​running​ ​the​ ​draw)​ ​- making​ ​Chelsea​ ​50/50​ ​a​ ​fun​ ​experience​ ​with​ ​a​ ​big​ ​heart. Our​ ​Foundation​ ​helps​ ​more​ ​than​ ​900,000​ ​people​ ​around​ ​the​ ​world,​ ​making​ ​us​ ​one​ ​of​ ​the​ ​biggest Foundations​ ​globally.​ ​ ​But​ ​we’re​ ​Chelsea,​ ​and​ ​Champions​ ​do​ ​more.​ ​ ​We​ ​believe​ ​we​ ​can​ ​build​ ​the largest​ ​matchday​ ​draw​ ​of​ ​any​ ​club​ ​in​ ​Europe​ ​with​ ​Chelsea​ ​50/50. The​ ​Chelsea​ ​Foundation​ ​brings​ ​together​ ​Football​ ​in​ ​the​ ​Community,​ ​Education,​ ​Charitable​ ​and​ ​Community​ ​activities.